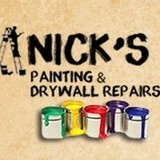 Welcome to Nick's Painting & Drywall Repairs, your locally owned source for painting and drywall services. Our trustworthy and knowledgeable staff has over 25 years of experience in the industry, and they'll take the time to ensure that all of your questions are answered. At Nick's Painting & Drywall Repairs, customer satisfaction is our top priority. Whether you want your painting job completed with spray work, rolls or brushes, we can always accommodate your specific needs. Our painting services also include texture matching, stain finishes and lacquer finishes. We also specialize in drywall services and repairs. Our staff has experience in water damage repair and can also perform small drywall repairs, acoustical removals, plaster repairs and stucco repairs. Call us today for a free estimate! Andersen Building Products sells custom made vinyl shutters that come in many colors and styles, as well as vents and mounting blocks for your home. Why choose Sears Home Improvement of North Hollywood, California? At Sears Home Improvement, we specialize in the projects that make your home more attractive and functional, from replacement windows to a complete kitchen remodeling. Let our knowledgeable experts come to your home and provide an estimate for your project — our in-home consultations are always free, and every home improvement project comes with a project manager to ensure everything goes smoothly right from the start. Real Estate Leads are one of the newest topics in the real estate industry, and with good motive. We know leads are the initial step in the property business association. So it means without leads, you have no business at all. 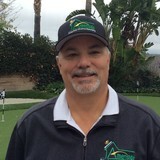 Established in 1996, Independent Contractor owned by my Rene Aguilar. He's been doing this for 21 years.Creative Coating Systems offers many services including deck coatings and deck waterproofing. Deck coatings bond straight to concrete, wood, or metal substrates which prevents lateral movement of water underneath the coatings. From big jobs to small jobs any job is a fun project. We get you the best prices and done right. He takes pride in his work, and makes sure that you're a satisfied client. We offer reasonable affordable prices and Free Estimates too! We love our clients and your feedback is important to us! As a family owned business, we are committed to the highest quality and friendly service, and so we guarantee our work to meet our customer's personal satisfaction. Our old fashioned values give us an edge, and our quality sets us apart from our competition. If you're not going to do it right, don't do it at all. We truly believe a job should be done in the correct manner every time. It doesn't matter if it's a small stucco patch or a shopping mall, Bayside Plastering is as serious about our product, as are you about your home or investment. So please give us a call, someone is always available to speak with you. Feel free to call anytime, about any concern. 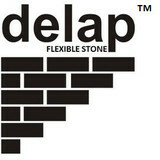 We proudly provide the highest quality of service and craftsmanship to each and every aspect of your project. We are focus on managing our projects in the right way to fit the schedules, budgets, and desires of our clients. Our depth of knowledge and experience solidifies our belief that customer service stands as the top priority. We eagerly look forward to working with you to bring your vision to reality. High pressure cleaning team, bringing you the most professional, reliable, efficient and affordable service in Southern California. We guarantee your property will look its best, that is our main goal. No job is too big or small, and we approach every project with professionalism that is guaranteed to satisfy our clients. If you are not satisfied with our work we will do what ever it takes, or methods of cleaning required to satisfy our customers, or your money back. We have experienced more than ten years of pressure washing. We specialize in commercial as well as residential cleaning with hot water maximum temperatures of 250 degrees, as well as cold water, and pressures as high as 4000 psi. All gages are set accordingly to surfaces and material cleaned. Exterior Trim work in West Hills! What types of siding services do Van Nuys exterior contractors provide? Wood siding needs more maintenance than less-expensive, low-maintenance vinyl siding, but with proper care it will outlast vinyl siding, which can fade and crack over time. Your Van Nuys, CA contractor might also suggest fiber cement siding, which is fire resistant and termite-proof and can come with a warranty of up to 50 years. Find siding and exterior contractors in Van Nuys, CA on Houzz. Narrow your search in the Professionals section to Van Nuys, CA siding and exterior contractors. Find out how long a Van Nuys, CA exterior remodeling contractor has been in business, view portfolios, read reviews and get contact information.